Suitable for readers aged 3 and up. 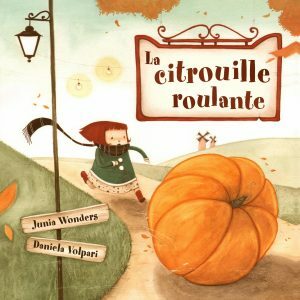 a wonderful & whimsical autumn bedtime tale! A little girl chases her giant pumpkin all over town with some help along the way. It’s the perfect bedtime story to read with your little pumpkin. The author uses repeating sentence structures to capture young listeners’ attention and give early readers confidence. 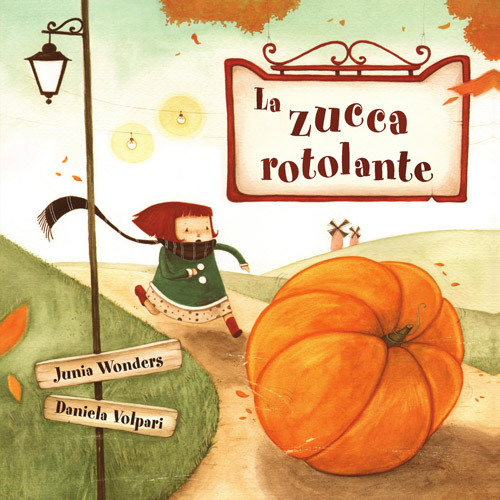 The book is exquisitely illustrated by award-winning Italian illustrator, Daniela Volpari. Every page is a beautiful work of art and is one of those picture books whose images will linger long after you’ve turned the page. Buy the book on Barnes&Noble. Recommended for children between 3 and 8 years. A delightful and whimsical children’s picture book for early and beginner readers. Written with repeating sentence structures to capture young listeners’ attention and give early readers confidence. 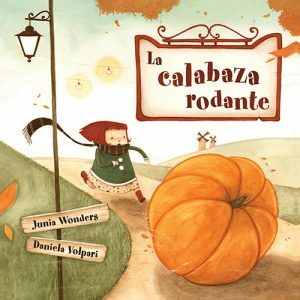 Beautifully illustrated with exquisite autumn hues, brimming with expression and humor small children love. A charming little story that teaches the joy of helping one another and sharing. Entertaining: The book is full of funny situations that are sure to elicit plenty of giggles. “Marla Little is off chasing The Roll-Away Pumpkin with the help of her friends. The children love the repeating phrases and the way the book has a rhythm. The ending with everyone enjoying pumpkin soup is a good way to show children how communities come together and share experiences. This is one of the children’s favorite books that they ask for often. Award winning story and art that belongs in every young person’s library. “This is an award winning quality children’s book that will entertain young and old alike. It belongs in everyone’s library and I imagine that it will soon sit in libraries across the world awaiting readers. I found the illustrations to be outstanding and the story as much so. This book is also available in Italian, German, French, and Spanish.